What age is Chivalry: Medieval Warfare set in? 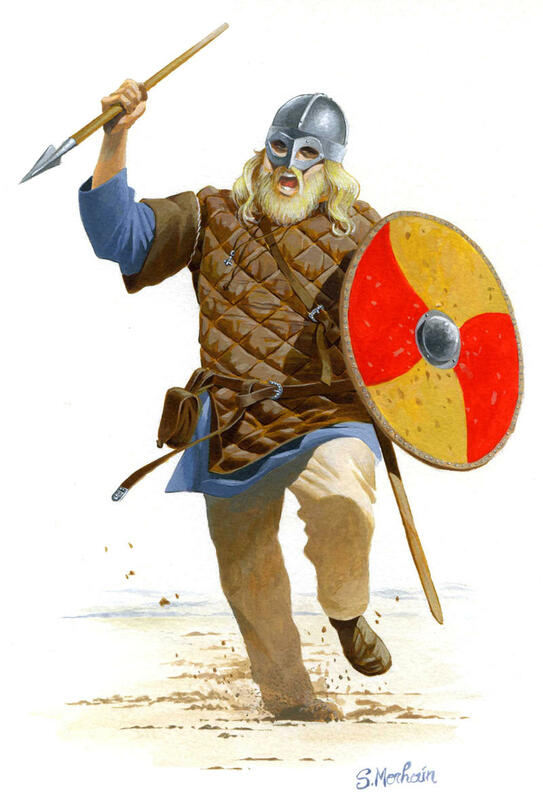 The dane axe, norse sword and bearded axe are germanic/nordic weapons from the dark age period between the sacking of rome and the norman conquest of england. The vanguard and knight primary swords are all late medieval-early renaissance. Same as the agatha knight armor. And the heavy crossbow. It’s a total mix-and match of gear from approx 800AD-1500. Exept of course the cudgel, which is more prehistoric. Have you not heard of cudgel throwers? Set in the age of fantasy, of course. In the german LARP scene there is actually a word for this age: Fäntelalter. Fäntal beeing derived from the fantasy gengre (the ä mocking the way a is pronounced in english as opposed to the way a is pronounced in germany) and Alter meaning age. The Fäntelalter is typical garmet in the Fäntelalter is every armour from every region and and period ever prefarably combined with weapons from a different period and reagion. Though it’s also characterized by beeing overrun by about ten million bazillion different fantasy races, everyone carrying two swords and no one ever wearing helmets. So chivalry is not all that accurate in that respect. I would not have expected the German larp debates to haunt me this far, even to the discussion forums of a small indie game. But I guess there is no place to be save. Basically, Chivalry is medieval inspired fantasy. As others said, the influences of the armor- and weapon styles range from approx 800 - 1550 and geographically from western Europe to Russia and the Byzantine Empire. The different classes form a wild mix when compared to each other, but each class on their own looks plausible enough, in my opinion. We have knight armor ranging from the 12th to 13th to 14th century, Viking raiders and Varangian guards. Then we have renaissance weapons like the Zweihänder (which is actually a Flamberge) or setpieces like the cannon-loaded Man´O´War battleships on Hillside. All the weapons, classes and objects in the game are mostly believable in a historical context, just not when compared to one another in the same time period. And thats where the fantasy aspect comes in, by mixing those elements together. This - and by creating the fictional setting of the land “Agatha”. it’s Sword-punk, anachronistically using metal equipments from up to 16th century, but without any other technological advances of that time, adding that to an overall high to early late Medieval setting. basically what happened after a space/time-rift teleported some hundreds or thousands of people and equipment from the High Middle Ages, along with a bunch of equipment form the late Middle Ages and Renaissance to another earth-like planet, and they picked what they knew how to use and discarded what they didn’t know or didn’t find a use for. Technological its set in a very late Medieval age just before Gunpowder weapons came up (think of the time of the Hundred Years war) in a horseless world. Some of the weapons might be younger in the real world (Zweihänder etc.) and some might be close to outdated (like the Norse Sword - but Chivalrys Norse Sword functions more like a Spada da lato - a mix between Broadsword and Rapier) but they all were possible at this technological level. It actually canonically takes place in 1269 exactly. We know that because there’s a quote three years earlier that’s dated 1266. Edit: I need to get over my crush on adverbs.